Chuma Okeke smiles during Auburn's welcome back ceremony in Auburn Arena on April 7, 2019, in Auburn, Ala.
Those two words were repeatedly said by Auburn forward Anfernee McLemore as he stepped toward the free-throw line with 17.6 seconds remaining in Auburn’s first Final Four appearance, his Tigers leading 1-seed Virginia by two. He made both of them, giving Auburn a four-point lead with seconds left in the game. What happened at the end of the game aside — foul or no foul — those two words being constantly mouthed by McLemore, a 60 percent free-throw shooter, allowed him to give his team a four-point lead. The words represented the Tigers’ mentality during the latter half of their NCAA Tournament run — how Auburn gathered itself after its most versatile player, Chuma Okeke, went down with an ACL injury. With 8:08 left in the second half of the Tigers’ Sweet Sixteen matchup against the North Carolina Tar Heels, Okeke collapsed to the floor after stepping awkwardly while driving to the basket. Every fan, both Auburn and UNC, was speechless inside the Sprint Center in Kansas City. Okeke’s reaction was immediate, and both he and his teammates knew what had happened. In the postgame, on-court interview, Pearl was visibly upset, choking up with tears in his eyes when speaking of Okeke. Get The Plainsman straight to your inbox. Confirmation of Okeke's ACL tear came out the next day, but the “Do it for Chuma” movement had already begun in the somber Auburn locker room after the win. Okeke was then brought into the locker room, assisted by fellow teammates Mclemore and J'Von McCormick, to place their “Auburn” sticker on the victorious side of the bracket. The people followed Dunbar’s words and spread the movement like wildfire across social media, with the #DoitforChuma being used by both Auburn players and fans. The hashtag even began to trend at a national level, creating a feel-good story for the Tigers; they weren’t doing it for themselves — they were doing it for their fallen teammate. The odds were already stacked against Auburn as it entered its Elite Eight matchup against Kentucky. Things looked bleak without Okeke. This was seen in the first half, when Kentucky came out and outshot the Tigers, leading by as many as 11 at one point in the first half. That changed when Okeke was brought to the court in the beginning of the second half. “Moving him to the gym, sitting him on the bench, he doesn't want the camera on him," Pearl said. "He must have been watching the first half at the hotel and said, 'I can't stay here. I got to go.'" The energy in both the stadium and the Auburn bench was different after Okeke was brought out, leading Auburn past Kentucky in overtime – the third blue-blood the Tigers had beaten in as many games. They were the same Wildcats that had handed the Tigers their last loss by 27 points before going undefeated all of March. After the game, Okeke was once again given the honors of putting the coveted “Auburn” sticker on the bracket, this time for the Midwest Regional Championship. The game would have been played out differently if Okeke was in the game, but the Tigers won the game because he wasn’t playing. In the six days between the Elite Eight win over Kentucky and their next matchup against UVA in the Final Four, emotions were high amongst fans and players with the “Do it for Chuma” movement leading the charge. As McLemore headed to the line mouthing those two words, remembering what it took to get Auburn to that point and who it was playing for, he proceeded to drain his two free throws. While Auburn’s title aspirations were later cut short in that game by UVA, there is no doubt that the team would not have been here if it weren’t for Chuma Okeke, even after his injury. They did it for Chuma. Do you like this story? 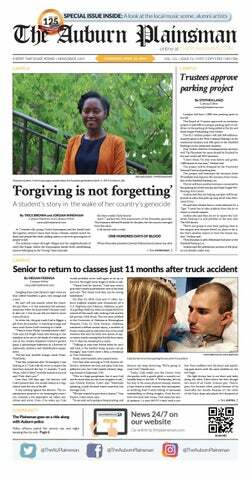 The Plainsman doesn't accept money from tuition or student fees, and we don't charge a subscription fee. But you can donate to support The Plainsman. 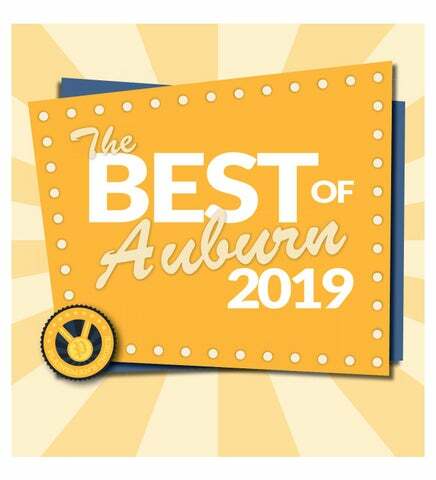 The Auburn Plainsman welcomes thoughtful discussion on all of our stories, but please keep comments civil and on-topic.